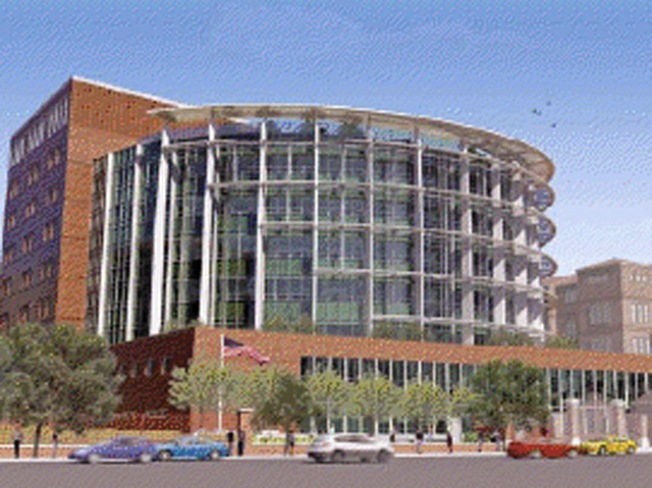 An artist's rendering depicts the new addition to the facilities at San Francisco General Hospital, due to be finished in 2015. San Francisco General Hospital will remain one of the best trauma units in the country without a helipad for airborne ambulance service, according to an official overseeing the project to expand the facility. The helipad has become a point of contention, with homeowners on Potrero Hill having voiced objections in the past to the noise and the potential to disturb their sleep or, worse, affect their precious property values. The new construction is due to be completed in 2015. The good news is that extra attention is being paid to earthquake-proofing the new building, to make sure that the building and staff inside are still standing in the event of a disaster. Neighbors of hospitals across the City have successfully stopped any new helipads from being built at hospitals for decades, including proposed landing facilities at UCSF Medical Center and Davies Medical Center. Proponents argue that the helipad would save lives, and accused opponents of NIMBYism. As it stands, the only helicopters you'll see carrying trauma victims in San Francisco will be on the show Trauma. Jackson West used to live near General, and doesn't think he'd mind the noise so much.